Dr. Seuss' birthday and National Read Across America Day are March 2. 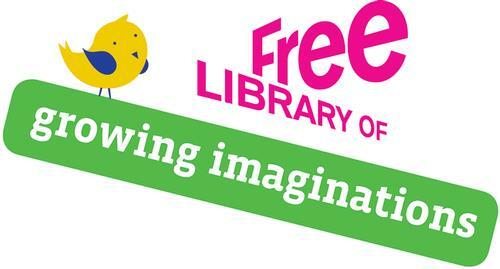 Check out our events calendar for a Dr. Seuss event happening at your local neighborhood library! 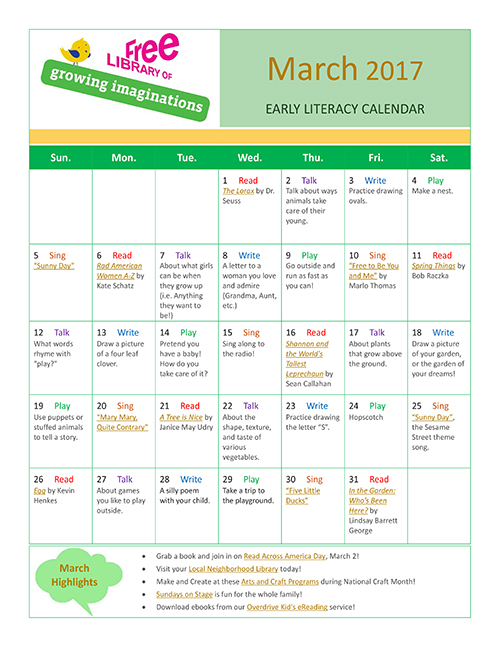 There are also tons of great resources and games on both the Seussville and Read Across America websites for kids of all ages. March 8th is International Women’s Day. How do you honor the women in your child’s life? What women do your children look up to and admire? 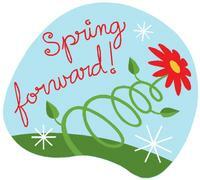 "Spring Forward" on Sunday, March 12 and be sure to have warm-minded and sunshine-themed activities in mind! Saint Patrick's Day on March 17 is sure to be a day filled with luck! Spring begins on March 20th, so let’s celebrate by going outside to play! And the entire month of March is also National Craft Month! 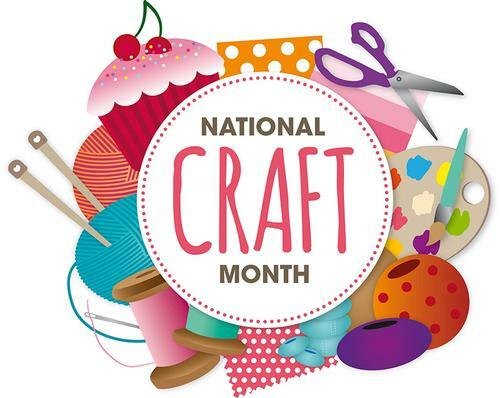 Check out this great Early Literacy DIY arts and crafts video series from Plano Public Library in Texas for some fun and educational craft ideas! Don't forget to "Spring Forward" on Sunday, March 12 for an extra hour of daylight!